Well, if last night was any accurate indication we’re gonna have another strong run of American Shad this year. 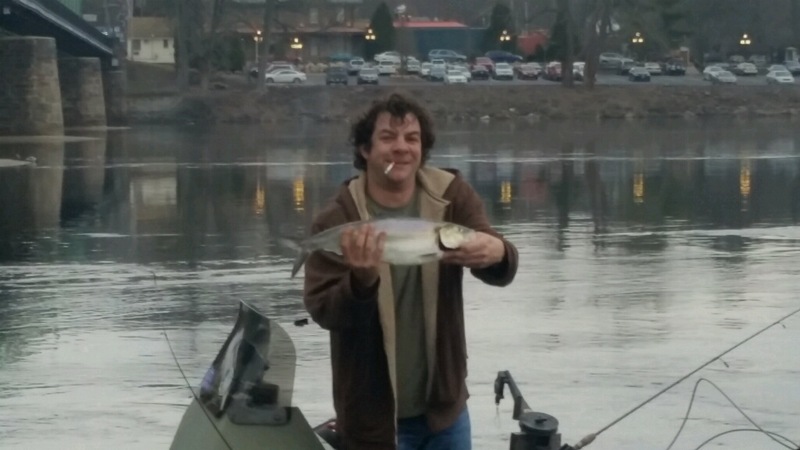 I only fished for an hour and landed 4 shad in quick order, starting off the year with a doubleheader of two fish on at the same time, both of which I landed by myself, since I was alone testing the waters. I have limited availability this month (April) and all trips are $350, maximum of two passengers, and they’re from 3pm to 7:45 pm or until it’s too dark to fish. 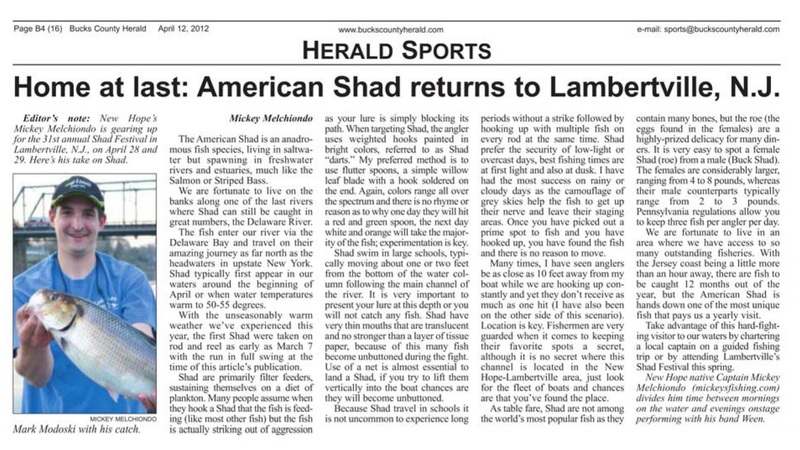 Attached is an article I wrote for the local newspaper about the unique nature of Shad Fishing, and how lucky we are to have the healthiest shad fishery in America right here in my hometown of New Hope, PA. Everything you need to know about what to expect can be found in there. Email me to schedule a trip! All trips depart from the boat launch in Lambertville, NJ—minutes from my house. If you’re travelling in from out of town I can help you find quality lodging in our area.